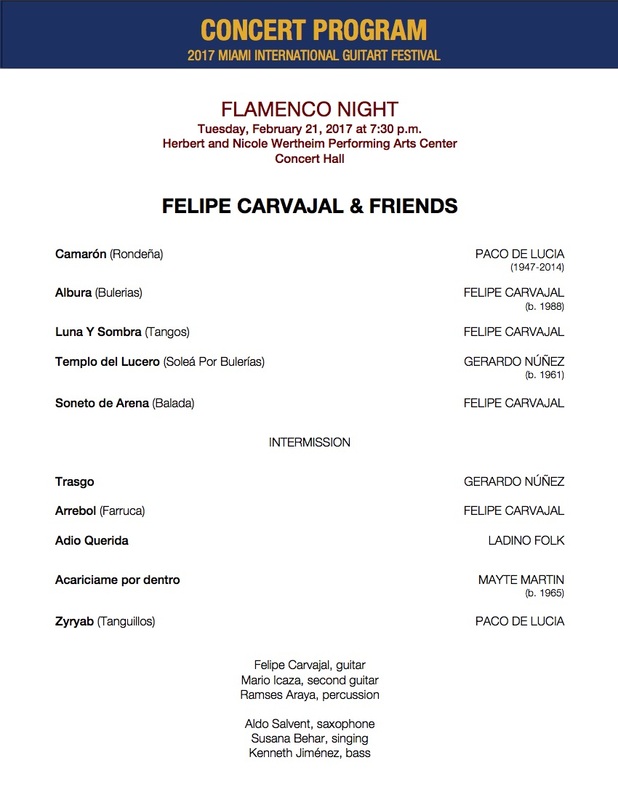 Flamenco guitar virtuoso Felipe Carvajal and his ensemble of guitar, percussion, singing, and dance will present a special program of modern flamenco music. Felipe began his studies in Costa Rica, at the age of 11. He has shared stage with many artists from Costa Rica, Peru, Venezuela, Ecuador, Spain, Mexico, Argentina, Colombia, and Cuba in a wide variety of projects from Latin, jazz, and classical to Rock and Flamenco. 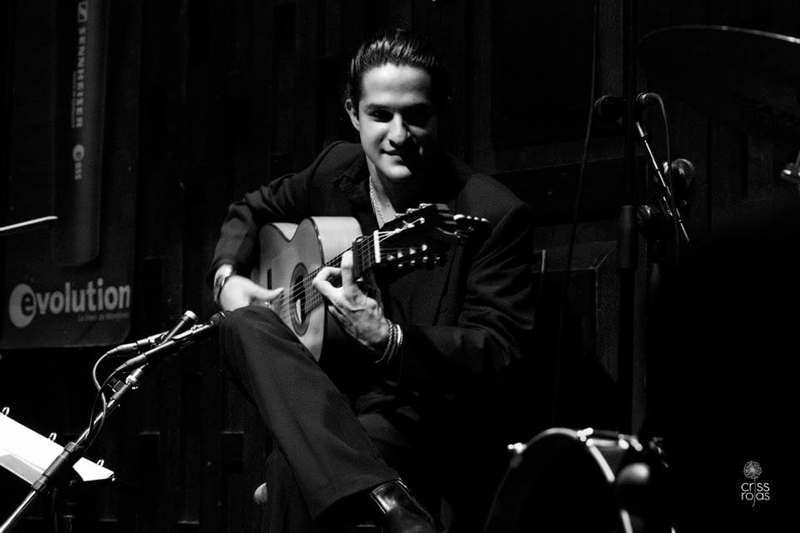 He has performed as a flamenco guitarist in many festivals, including International Guitar Festival in Costa Rica, International Guitar Festival in Arequipa, Peru, International Guitar Festival in Managua, Nicaragua, International Guitar Festival in Costa Rica, International Guitar Festival of Seville, Spain, International Guitar Festival “Cuerdas al Aire” in Lima, Peru, Miami International GuitArt Festival, Florida. Currently, Felipe has been studying classical guitar with Mesut Özgen and composition with Orlando Jacinto Garcia at the FIU School of Music and working as a producer and composer for various projects.